Austria is a trail paradise for any ultra runner. People all over Europe and the world seek the location during summer to enjoy beautiful hiking paths, high mountain experiences and the perfection of being immersed into pristine nature. The Zugspitz Ultra Trail last year offered us the possibility to stay in this neighbouring country and delighted us with its offerings. On winter holidays spent there, we were always welcomed by wonderful people and visited dazzling places that left us with a feeling that we’d always want to come back. Summer was no exception and hence the invitation from Stefan to join a 100 km race offered the possibility to a) plan a fabulous summer holiday with family and friends and b) jump into the next running challenge… the 3 digit race. Let’s start at the end this time, shall we? The race had moments of exceptional magnificence and periods of the darkest pain. When Stefan invited me to join the race and I evaluated options for how the calendar would look like, it took me a long while to decide to do Pitz Alpine Glacier Trail. I don’t have the opportunity to join a lot of races during the year and hence always seek to find the most dazzling experiences possible, to make it all worth, to live the dream, to find the void in all its possible extent. Participating in a race with a glacier crossing, a plain full of ice, didn’t really sound like a runnable and enjoyable experience, rather a hiatus in the race that would force us into unnecessary logistics (spikes would be needed)… more of a climbing/mountaineering practise really. How wrong could I have been…? A lot actually! 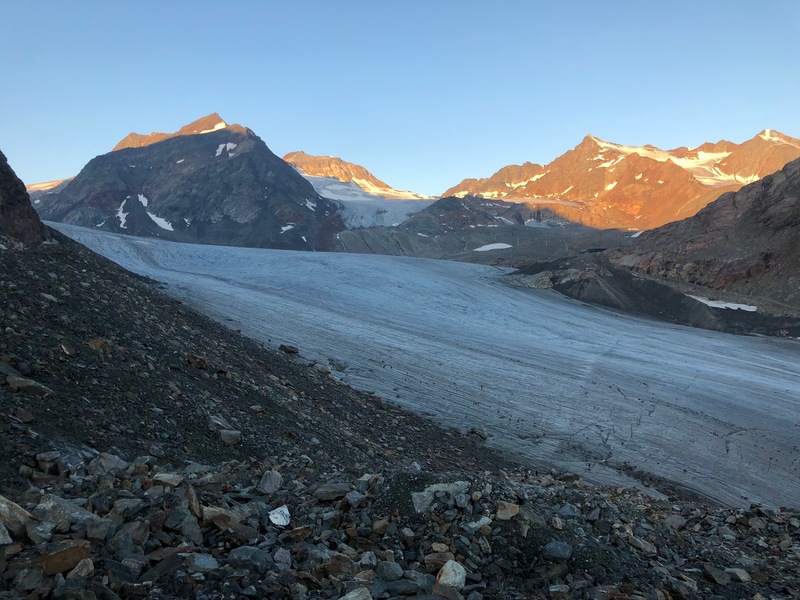 Along with the glacier segment, the Pitz Alpine Glacier Trail (PAGT) is a marvellous high mountain race, providing fascinating views, trailing along incredible locations through high peaks and formidable valleys. It has a high degree of technicality, forcing athletes to cross large less-runnable sections of rock, rumble and at times lunar landscapes. For a first time Pitztal visit and for revisiting the astonishing locations the region has to offer, PAGT is a must! Go ahead and zoom in. Can you see them? I battled in anticipation for how it would feel in the race, at times certain it’d be something I’d love to do, on others uncertain if I’d come to the conclusion that I wouldn’t be suited for it. the physical ability to be able to achieve the proposed distance. the nutritional discipline to fuel your body. The most controllable of them all is the first one, which is the reason training is so important. Together with Paulo Pires and the beAPT platform, we were able to build a balanced training plan that guides me into what, when and how to train, building the necessary strength and the ability to shape the muscles of my body into the running machine that makes me go the distance and the elevation gain of the races I throw myself into. I couldn’t be happier with what we achieved in this race, for there was not a single point in time I felt my legs would fail me nor my body would collapse from the physical strain I subjected it to. Zero fatigue on the day after the race. A feel of authentic easiness during the traditional recovery run… just spot on! With stomach aches and mental struggle during large sections of the route, this was the closest time I’ve ever been to a DNF (Did-Not-Finish) in a race. Didn’t quit… but was nearly there… did so mentally but found energy at the very end to cross a finish line of the 85 km race… The organisation provided the option for runners to fallback from the P100 to the P85, which is what I ended up doing. The distance recorded on the watch was 100 km with 5.450 m elevation gain. Though conscious that any GPS device recording has deviations from the official figures, it still fills my heart to realise that more may have been achieved. 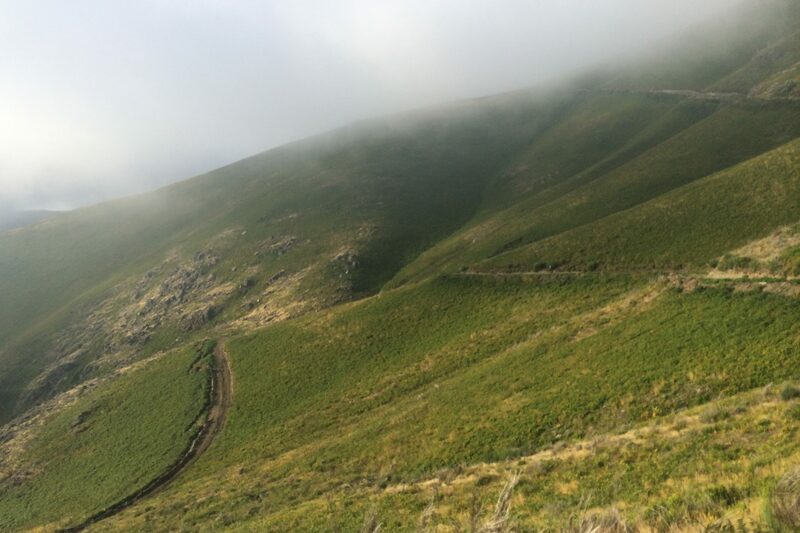 The race organisation has in the meantime revised its figures and upgraded the races from 85 to 90 and 100 to 105 km, based on runners’ feedback, which is definitely a stance worth praising. My ambition at the start line was simply put to finish the race… No matter how humble the attitude is, there is nonetheless always a side of me that builds up an expectation as to what the end result may be. It’s part of being a human being I guess, to define a goal, an ambition, a mark to strive for, to challenge ourselves to be better, to improve from where we are or to ultimately fail and have the opportunity to learn with it. We started at 3:30 AM and I told myself that it should be possible to arrive around dinner… or at least to have a late dinner with family and friends. I arrived much later though… and to much distress, couldn’t communicate any reliable information during long periods of time to those that wanted to check on me and/or were waiting at the finish line. This has been perhaps the most relevant subject matter around this race: the discussion around the meaningfulness (or meaninglessness) of it all. Why would I run such a race? How to understand such motivation? Why do it if after a specific distance the gut will always cause problems? The significance of the hopelessness of the ones suffering on the sidelines? The day after the race we spent a good deal of time debating the subject between us all. Wife. Kids. Friends. Fellow runners. An emotional discussion. Truthful between one another. Candid given the feelings being exposed. Inflamed by each ones’ convictions and at the same time inconclusive given each ones’ uncertainties. Sentimental with discernible tears testifying the affection, care and love for one another. A discussion that has moved my heart and still unsettles my soul. For it is hard to find the answer… if there is one… or the answers… if any at all. My dearest friend Paulo Pires, in all his wisdom and experience, called my attention to the great explorer George Mallory, who had set his mind to reach the summit of Mount Everest in the early 1920s, an astounding 30 years prior to the first ascent being successfully achieved, several decades after. Coming downhill to the valley, we finally decided to split up, as I was set to quit at the next aid station. Before doing so, it was the community that came into my aid. Text messages. Phone calls. To all my companions at beAPT, I’ll never forget your comfort… Armando, Anabela, Nuno, Hugo, Jorge, Diana, Paulo, Miguel, Rui, Lucinda, António, Frederico, Vitor, Sara… you’ve were phenomenal… I got my mind back in place, took my time to recover at the aid station and rejoined Stefan in the last section of the race. Ironically becoming strong again during the last 10 km stretch. Gracefully crossing the finish line together, side by side, exactly how we started. To my family and friends, in particular my wife that I wholeheartedly love, I thank you for bearing with this passion of mine that so often has no explanation. For being there by my side. In body and always in spirit. I don’t know what will come next and how to find rationale in whatever I come to choose. I’m confident however that whatever the path, it will be the right one. ← Sub 3 hours in my 1st street marathon… hurray!! !